Locally owned and operated Investment Real Estate, LLC (IRE) announces the hiring of Justin Quinto as Brokerage Advisor. Justin is responsible for self storage brokerage activity including listings, sales, buyer representation, due diligence, financial analysis and feasibility studies for properties located throughout the Northeast states. His office is based out of Connecticut. A lifelong resident of Connecticut, Justin has worked in the self storage industry for more than 14 years. 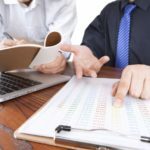 During that time, he has been involved in the operations of over 75 different self storage facilities throughout the Northeast, Pennsylvania, New Jersey and the high value New York City metro market. Prior to joining IRE, Justin had spent the last decade working for Extra Space Storage as a District Manager covering properties in Connecticut, Massachusetts and New York. 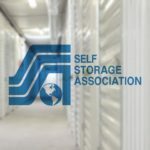 Justin is a member of the National Self Storage Association (SSA), the Massachusetts Self Storage Association (MASSA) and the Connecticut Self Storage Association (CTSSA).